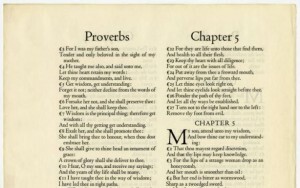 The Oxford Lectern Bible has been called “the most important and notable typographic achievement of the twentieth century.” Published in England by the Oxford University Press and designed by Bruce Rogers of New Fairfield, Connecticut, this particular bible was the culmination of the private press movement that began in England in the late 19th century under the influence of William Morris. Morris’s interest in fine printing soon spread to the United States where it caught the attention of a young designer (then from Indiana) named Bruce Rogers. Rogers’s early book designs reflect Morris’s love of ornament and decoration as well as his fascination with the letterforms of the Italian Renaissance. Rogers designed two typefaces, Montaigne and Centaur, both based on the 15th-century Roman types beloved by Morris and his followers. In 1925, after working in Chicago, Boston, and New York, Rogers bought an old house in New Fairfield, Connecticut. Built by David Barnum in 1771, the building became known as October House (because of the date on its cornerstone). 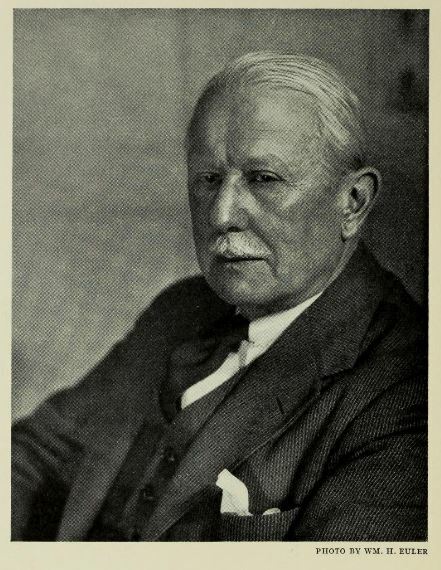 Rogers received the commission for the Oxford Lectern Bible in 1929. The selection of an American designer for this important British project must have come as a surprise to the typographic world and was a measure of the status that Rogers achieved. Intended for use in Anglican church services, the bible’s large size complemented the dimensions of the lecterns used in English churches. In addition, because it was meant to be read aloud, it needed to be highly legible. Tradition also dictated that such a bible be a thing of beauty, like the illuminated bibles of the Middle Ages and the highly decorated bibles of the Renaissance and the Arts and Crafts Movement. After years of painstaking labor, Rogers finished his bible in 1935 and experts readily hailed it as a masterpiece. 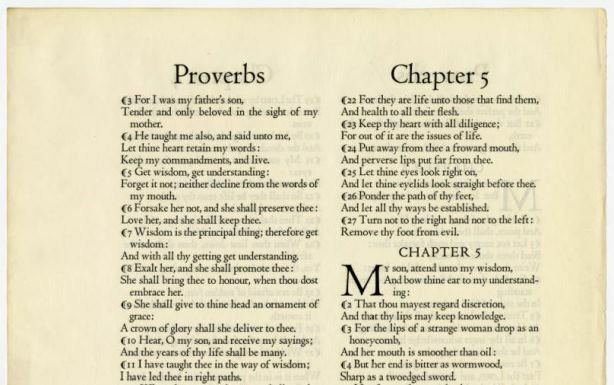 Set in Rogers’s own Centaur type, without decoration of any kind, the book derived its beauty from the elegance of Rogers’s letterforms and the subtle and sophisticated page layouts. Rogers’s peers recognized him as one of the greatest typographers of his time and he subsequently received honorary degrees from Yale, Harvard, and Purdue. In addition, the American Academy of Arts and Letters awarded him a gold medal and the American Institute of Graphic Arts elected him an honorary lifetime member. Rogers continued to live at October House and design books right up until his death in 1957. Approximately 30 years later, in 1989, authorities razed October House. “Finding Aid to the Bruce Rogers Collection.” Yale University, Beinecke Rare Book & Manuscript Library, 2015. Link. Jones, E. Willis. A Visit to October House. New York, NY: S. R. Shapiro, 1952. 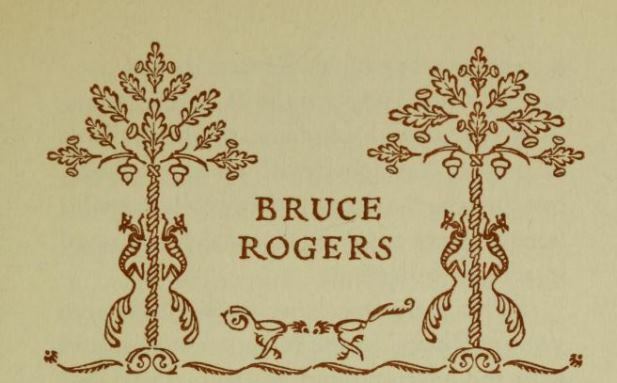 Rogers, Bruce. An Account of the Making of the Oxford Lectern Bible. Philadelphia, PA: Printed by John Johnson at the University Press, 1936. Bennett, Paul. Bruce Rogers of Indiana. Providence, RI: The Domesday Press, 1936. Link. Blumenthal, Joseph. Bruce Rogers: A Life in Letters, 1870-1957. Austin, TX: W. T. Taylor, 1989.